Shaving soap is a product that helps you to prepare your skin for a perfect shave. It is a hard soap—in contrast to shaving cream—and it is applied to your beard just before shaving. The volume of your beard will be increased after you have applied a shaving soap to your skin (the use of a shaving brush is recommended for best results). You will be able to get a closer shave, and the risk of injury will be reduced as there is no need for a lot of pressure. Another benefit of using shaving soap is that it conditions your skin and will leave it feeling fresh and smooth after the shave. Most shaving soaps also moisturize your skin to keep it from dehydrating and flaking. We tested the three best shaving soaps and will tell you which one we liked best after introducing them all to you. This luxury shaving soap is not a mass produced product but is handmade in America and of very high quality. It is easy to create a nice lather in a short time, and the smell of this soap is pleasant and interesting. It is a mix of orange, mandarin, coriander, star anise, and Venezuelan Tonka— and while this combination looks odd when you write it down, it is surprisingly nice when you smell it. You could even call it intoxicating. If you make the mistake of using too much water with this soap, it becomes unusable and you have to start from the beginning. We would recommend starting dry and then adding a little water until you get the needed consistency. If you are used to using a lot of water, you will have to relearn the process a little. This shaving soap is definitely worth its money. Considering that the soap is handmade, you would even expect it to cost more than it does. The scent is incredibly tempting and will turn the minutes you spend shaving into something like a spa treatment. If you do not want to use the same scent every time you shave, or would like to test this brand’s different scents before you buy the full-sized version, then this variety pack might be a good option for you. 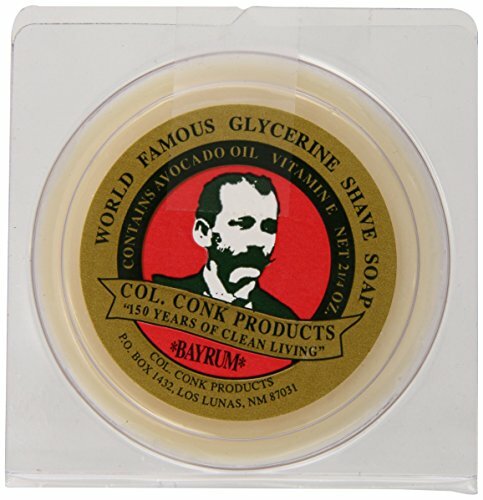 No shaving soap is the same when it comes to the lather, so you will have to get used to using this one, too. Once you have found the right balance between too much and too little water, this soap creates a nice lather that lets you easily shave your beard. The soap leaves your skin smooth and you won’t have to use an additional moisturizer. The big advantage of this pack is that you get four different scents to choose from, depending on what kind of mood hits you. The disadvantage is that you might not like all of the scents and use up the good ones first—and then not want to use the other ones. Considering that you get four scents for the price of one, this should not be such a big issue, and we found that the smells are all either good or every good, not outstanding, but good. 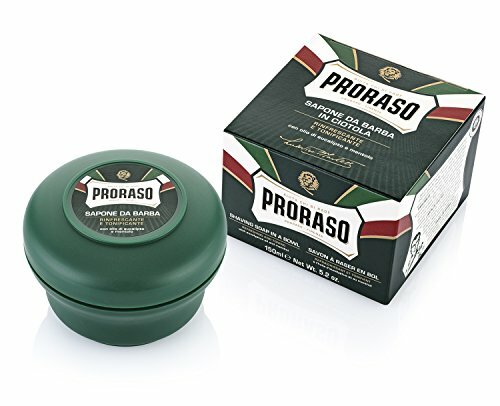 The Proraso Shaving Soap impressed by immediately creating a very nice and creamy lather with a simple, manly smell. The shaving with this soap works well if you are a reasonably quick shaver. Unfortunately, this lather dries up very quickly, so if you want to take your time or simply have a lot to shave, then this soap might not be the ideal choice. For all others, Proraso is a good choice, with the only other drawback being that you need to moisturize after shaving as this soap does not have the same moisturizing qualities as other shaving soaps. Proraso is a good choice for men who do not need to shave a lot and who prefer simple over fancy scents. Considering the low price, it will not be much of an issue to buy an extra moisturizer to make up for the lack of moisturizing from this soap. 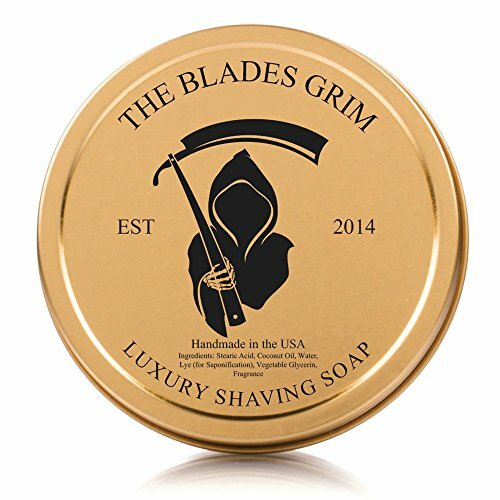 While all three shaving soaps perform well, we liked The Blades Grim Gold Luxury Shaving Soap, “Smolder” most because it combined the best aspects of a shaving soap and a moisturizer in one product. Once you get used to creating the perfect lather with this shaving soap, it will be unlikely that you want to use another brand again. The smell is just fantastic—unusual for a shaving soap but definitely a very attractive smell. Of course, the smell alone is not the only advantage, otherwise you could just buy a nice perfume. “Smolder” also takes care of your skin during and after the shaving process. During the shave, the lather lets the razor easily glide over your skin without you having to worry about cutting yourself. After the shave, your skin will feel refreshed, smooth, and moisturized. You will only need additional moisturizing if you have particularly dry skin that flakes easily.